GREENVILLE, Miss. 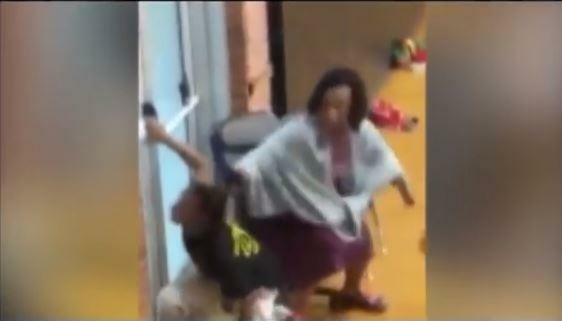 -- Officials in a Mississippi school district have fired a special education teacher after a video showed her dragging a special-needs student by her hair across the floor. CBS Greenville affiliate WXVT reports the Greenville Public School District’s Board of Trustees voted Monday to terminate Linda Winters-Johnson. Additionally, Superintendent Leeson Taylor has been placed on administrative leave with pay as the investigation into the incident continues. The decision comes 11 days after the video began circulating on the Internet. A state Office of Educator Misconduct investigator has accused Winters-Johnson of “grabbing, hitting in the head and dragging of a special-needs student during P.E. class at Greenville High School” around Sept. 21. The commission on Nov. 4 will decide whether to suspend or revoke her special education teaching license. Police have said they are investigating, but have filed no charges. The Associated Press could not find a phone number for Winters-Johnson. Two videos of the scene prompted public outcry against the 5,300-student district, which has struggled with poor academic performance. The superintendent before Taylor, Harvey Franklin , is serving a six-year federal prison term for taking bribes from a vendor. Board president Loretta M. Shannon told The Delta Democrat-Times that it was best to have Taylor away from his job while Greenville attorney Tonya Franklin investigates on behalf of the board. Shannon said the board expects Franklin’s report sometime this week, and will consider other disciplinary actions then. Debra White, who leads a group that has been critical of the district’s administration, applauded Taylor’s suspension.